Oct. -7 - 2008 TUI UK & Ireland, the owner of Thomson Cruises and soon to be 100% owner of Island Cruises, having agreed to buy the remaining 50% of its joint venture in Island from Royal Caribbean Cruises Ltd., plans to integrate Island Escape into the Thomson fleet next spring.The Island Escape is expected to be purchased by Thomson on the end of this month for an undisclosed amount. 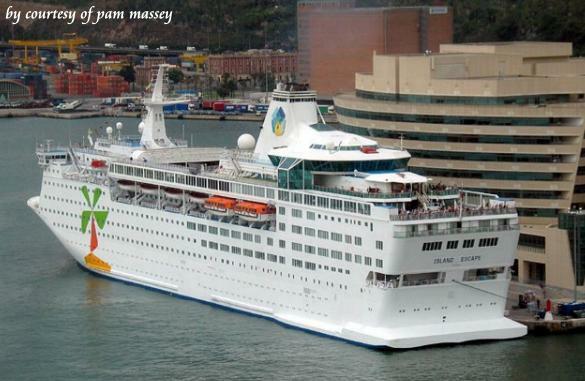 Nov. 2015 Thomson Cruises has sold the M/V Island Escape to Cruise Holdings Inc. 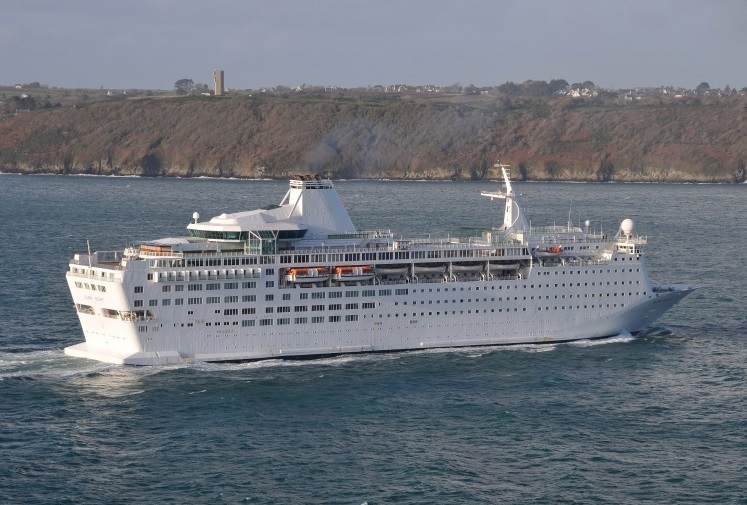 The Ocean Gala is expected to head for Latin and South America in late 2016, where an experienced group will operate cruises sourcing passengers from countries in Latin America. 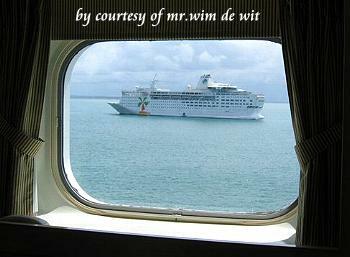 Other floating hotel charter and cruise charter arrangements are being considered for 2016. We are moving towards a dispute between the Swedish administration in charge of immigration and society Floating Accommodation Sweden after the decision of the Migration Board to terminate the charter contract liner Ocean Gala supposed to host asylum seekers. In its decision of 6 July, the administration acknowledges that its supplier did not fulfill all the conditions set in the original contract signed on 23 March. Starting with a home port. The Swedish port of Utansjö originally planned was denied on June 22 authorized by the administration of the province of Västra Norrland. 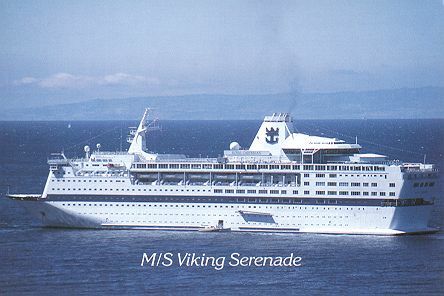 Former Thomson Cruises cruise liner, now managed by the American company US Shipmanagers based in Florida, was down from a private port HÄRNÖSAND, located in the same area. According Floating Accommodation Sweden, Swedish company fabricated for this operation, the ship is ready and the company sent its first invoice, even if no migrant has been hosted on board. According to Danish sources, the one-time DFDS flagship will remain laid up in the Danish port for about one or two weeks although Esbjerg Havn on its Facebook page states that the vessel is "awaiting orders" and is set for a departure on November 30-2016. 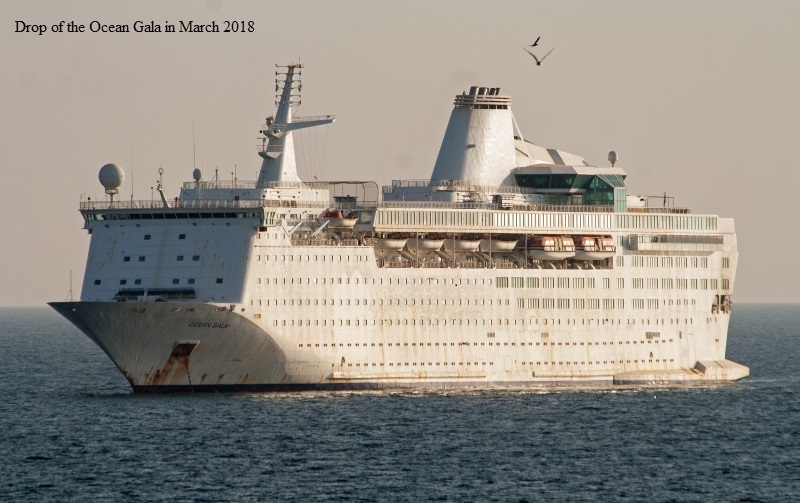 May 2-2017 After 3 months at anchor off Port Said, the Ocean Gala has transited Suez Canal and is presently under way in Red Sea off Safaga (Egypt) showing next destination Dubai eta 12 May. Possibly for bunkers to get to Alang? 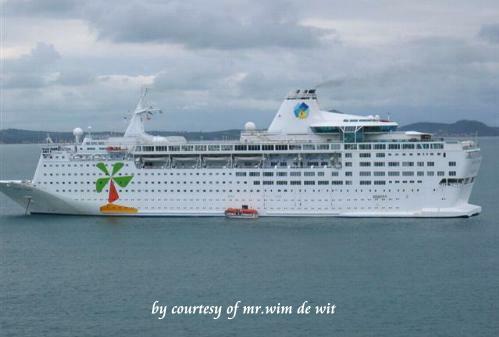 Sept. 2017 Ocean Gala to be used as accommodation ship at Korea’s 2018 Winter Olympics.